Suspense Sister Marji Laine has another terrific review on our book page. Brittany McEuen reviews A SPY’S DEVOTION by Melanie Dickerson. 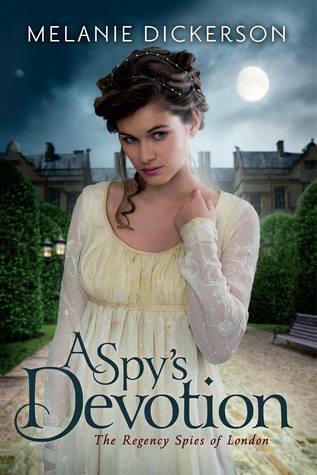 Brittany says: “A Spy’s Devotion was a delightful novel! 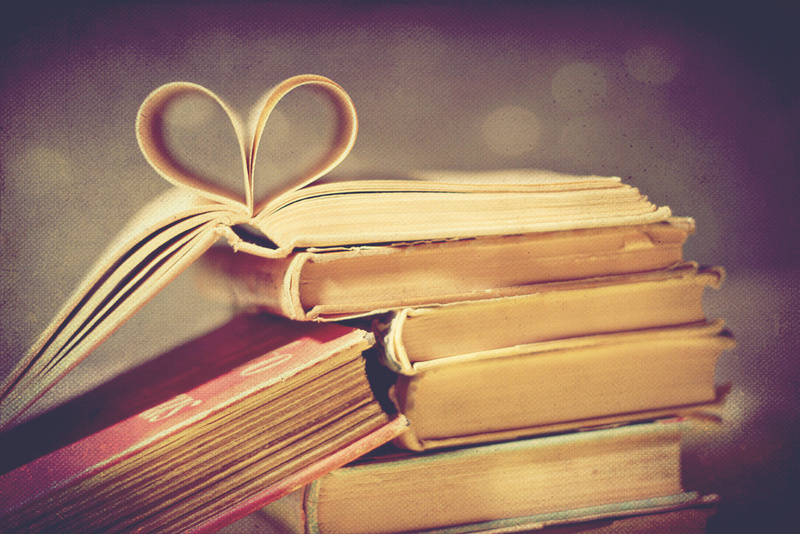 I really enjoy the Regency setting and love finding good, clean books placed in this time period. Add in the fact that this story had a suspenseful thread running through it and also was a Christian fiction novel – well all of these things made me a very happy reader.” You can read the rest of her review HERE. 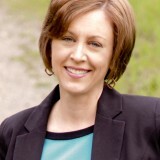 Mentink will share What’s Hot in Inspirational Suspense and Mystery. Wednesday Suspense Sister Linda Kozar interviews author Nancy Jill Thames! 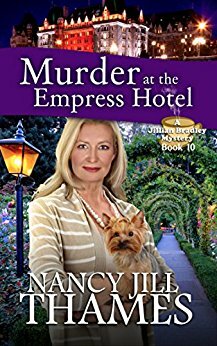 She’s giving away a copy of her book,MURDER AT THE EMPRESS MOTEL! A bitter legal and political conflict over fishing rights and the love of one woman turns deadly with the murder of a young attorney, drawing Jillian and Teddy into yet another exciting adventure. Friday, we’re visiting with Suspense Sister Elizabeth Goddard! 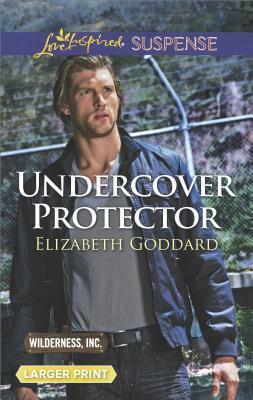 You could win a copy of her book, UNDERCOVER PROTECTOR! This Week on my fellow Suspense Sisters….. Suspense Sister Marji Laine has another terrific review on our book page. Iola Goulton reviews BURIED MEMORIES by Carol J. Post. Iola says, “The plot and writing were excellent, and I resented each time I had to leave Nicki and Tyler and Cedar Key because life or children or work or food. 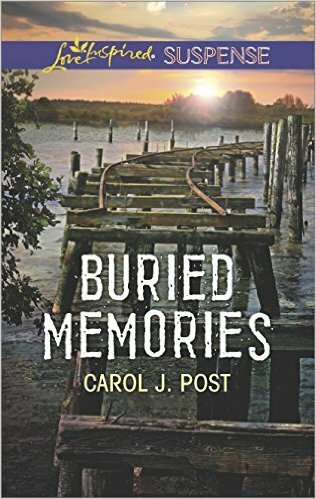 Buried Memories is part of Carol Post’s Cedar Key series, but can easily be read as a standalone novel. Overall, an excellent suspense read.” You can read the rest of her review HERE. On Wednesday we’ll hear from Suspense Sister Elizabeth Goddard. She’ll be giving away a copy of her book,UNDERCOVER PROTECTOR. Friday, we’re interviewing author Ronie Kendig! 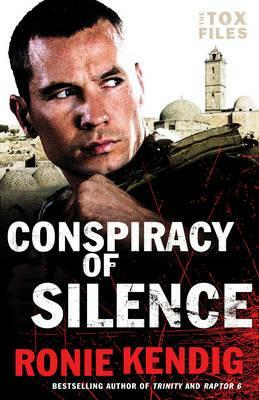 You could win a copy of her new book, CONSPIRACY OF SILENCE! FBI deception expert, Kasey Cortes, and fiery archaeologist, Tzivia Khalon, to search the globe for answers–and a cure. As the mission leads from one continent to another, it becomes clear they’re not just fighting a plague but battling an ancient secret society whose true goals remain hidden. With time running out and the threat for a global pandemic rising, Tox and his team realize their sole chance might be to reach back through centuries of silence to find the only answer that can save them all. WHAT DOES IT MEAN TO GET IT RIGHT? A brand New Year…a frightening reminder of our mortality and what lies ahead? Or another wonderful chance to maybe get it right this year. For each of us, getting it right will have a very different connotation. For some, it’ll be to lose those nagging twenty pounds, find a better job that pays more, or maybe forge a better relationship with children, grandchildren or a spouse. For me, a Christian who has tried all of those before with varying levels of success, my only goal for the coming year is to forge a closer relationship with God. At my ripe old age, I’ve finally realized I can do nothing without His help. I have tried to use my wit, my intellect, my talents, and my abundant charm to achieve my dreams. But all of those have failed me. Only when I start the day in communication with the Lord, and then quietly listen to what He has to say, do I succeed. We’re all so busy, and maybe that’s how life is supposed to be. But each night during 2017 I want to lay my head on the pillow and give thanks that I am not running in circles on a path to oblivion. I am His child, and He has a plan for me. I am so thankful! I certainly wish I’d gotten this through my thick head as a younger woman. Happy New Year and May God bless you in 2017.